I printed it on a glossy sheet of photo paper that I had on hand, and then just placed it on an 8.5×11 sheet of adhesive magnet. You can buy packages of adhesive magnet sheets at office supply stores, but I found the most inexpensive option for heavy sheets – I got mine for just $3.59. 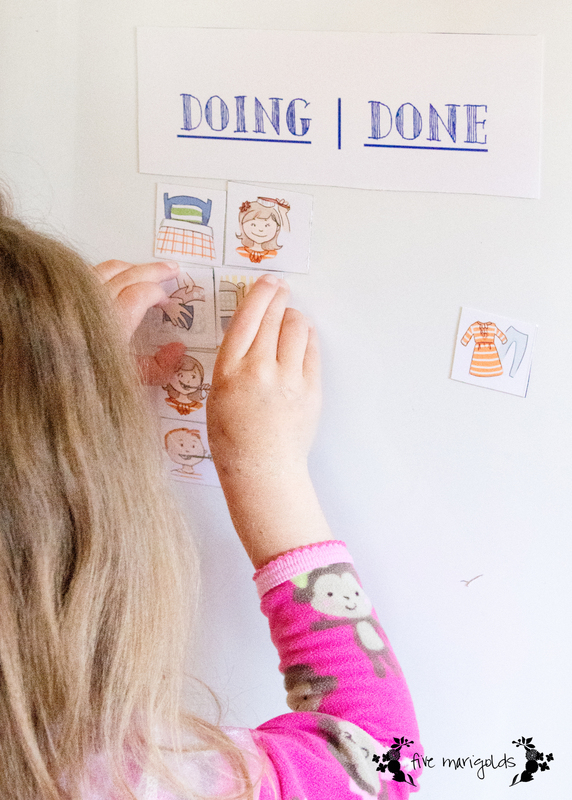 I cut the small pieces to size, added them to the fridge, and voila – a clean, easy and inexpensive chart. I encourage everyone to check out Audrey’s great blog. And, if you’d like a copy of the 1-page version of the printable I used to create my chart using her images, just click the image below! *This post contains affiliate links. Please read my full disclaimer on the right sidebar. Thank you for your support! I have you book-marked tߋ check out new things on your web site. 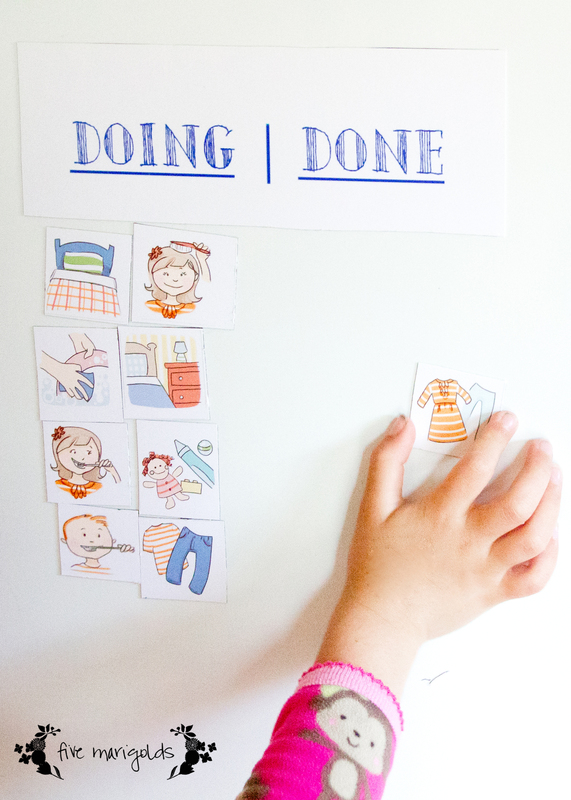 What an easy way to do a chore chart! I bet the kids have fun with it too. Much better than a boring old black and white one. I’d love a copy of the document you made. Sad that the origibal site with the pictures is now unavailable. I typed my email wrong the first time. Sorry ? Hi Kara! I’m glad you’re a fan of the chore chart. I’ve updated it so that when you click on the image of the document in this post, you can save the document by right clicking. If that isn’t working for you, please let me know. Enjoy! 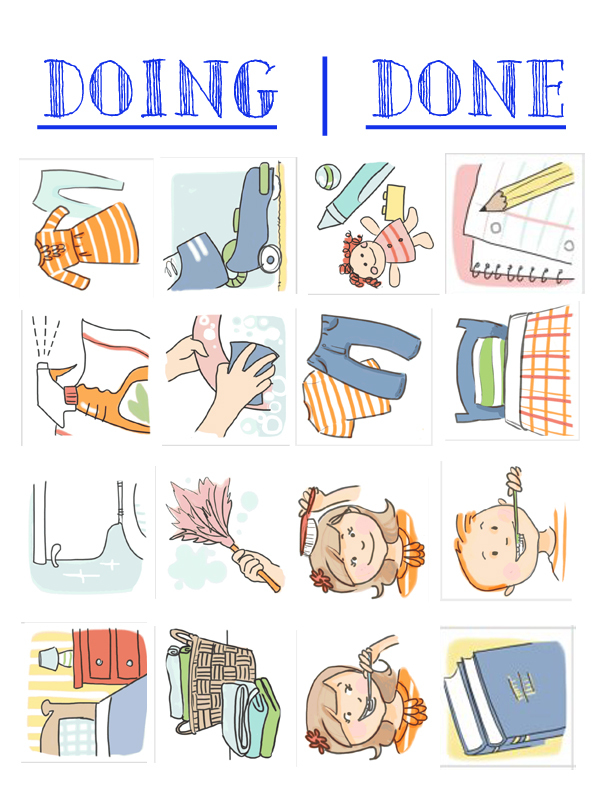 I would love to have you chore, how can I get it?! ? Hi Fabi! Just click the last image in the post and you can download the pdf from there!